After six years of continuous improvement of our Al Salat application, and after complete re-design and using the latest software technologies, we are happy to release our next-generation application: Al Salat 3D ! 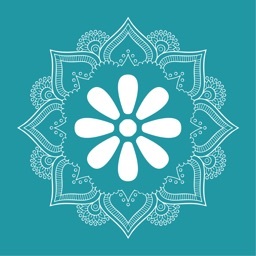 -Universal App that support all iPhone and iPad devices! 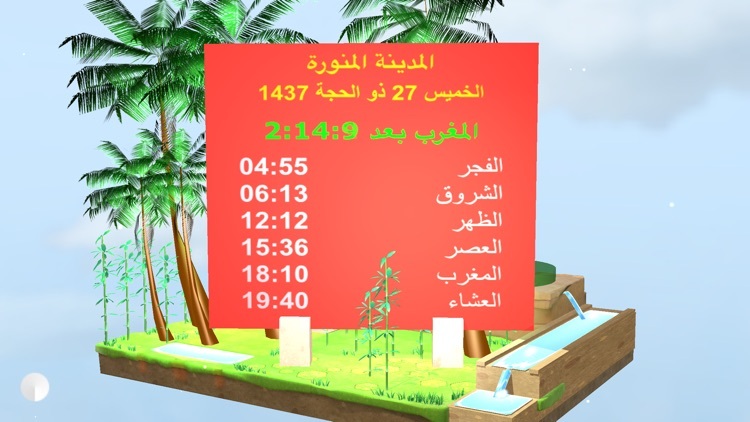 -Today Widget showing today’s prayer times and the remaining time of the next prayer. 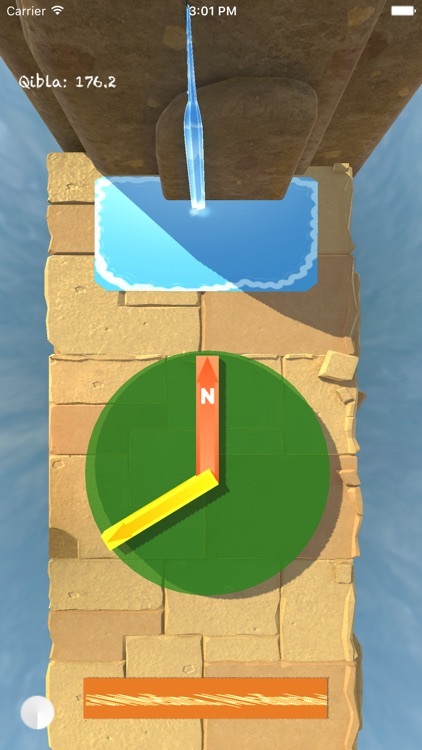 -Support both Portrait and Landscape orientations. -Full Adhan option! 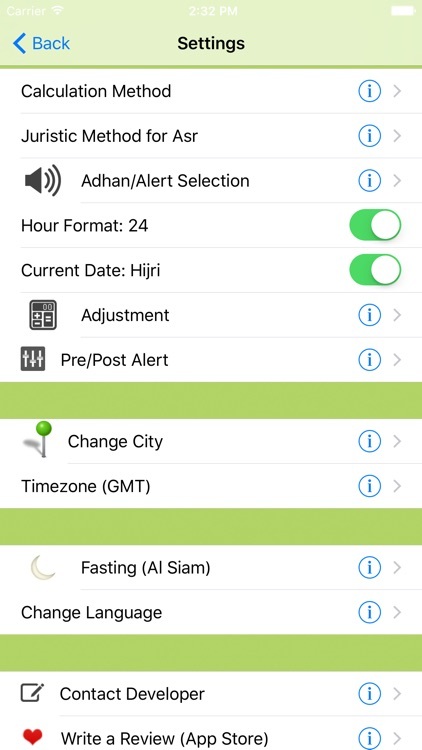 where you can specify full Adhan notification when the App is closed (to activate this option, please navigate to "Settings->Adhan/Alert Selection"). -Possibility to select your preferred Adhan alert for each prayer and for each day of the week! 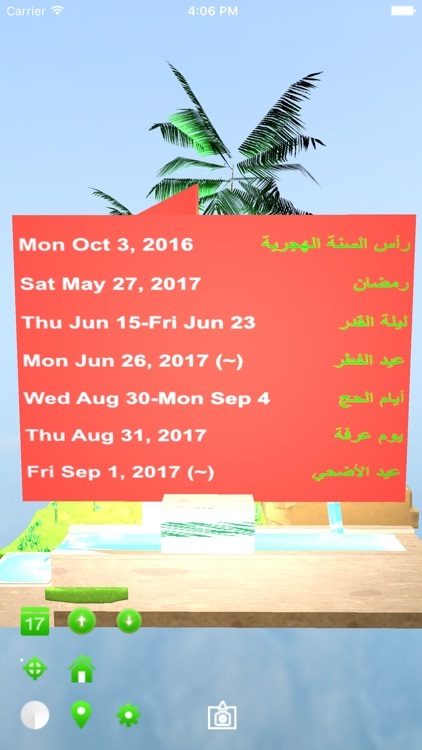 This is useful for those who want to have different Adhan alerts between their working days and their non working days of the week. 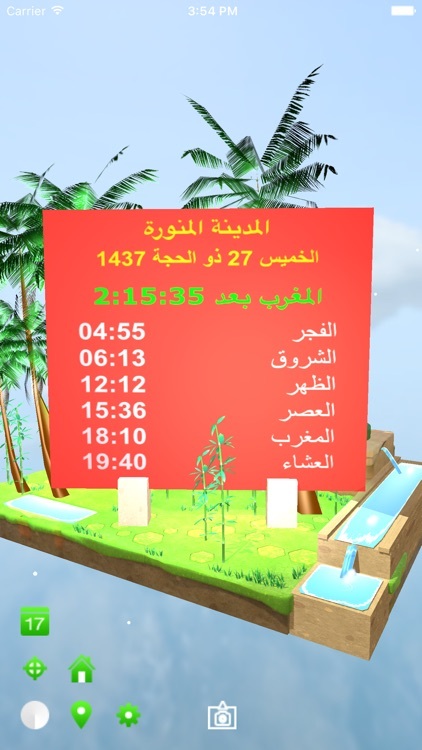 -Accurate prayer times of your current location or of any other city in the world, using different calculation methods. -Generation of local notifications of Adhan alerts. 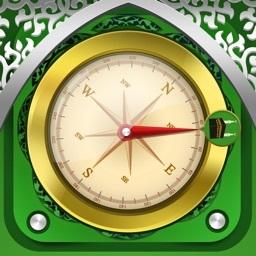 -Precise Qibla direction of your current location or any other place in the world. 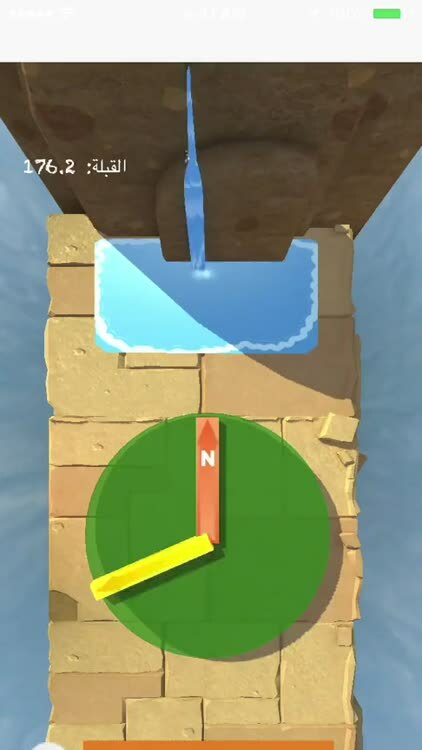 The Qibla direction is displayed on Maps also. 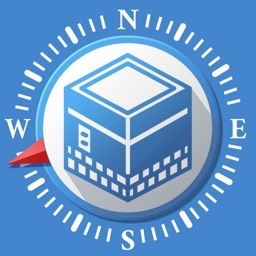 -Find nearby mosques from you current location and driving directions (Navigate to Qibla Maps View than click on Mosque icon). 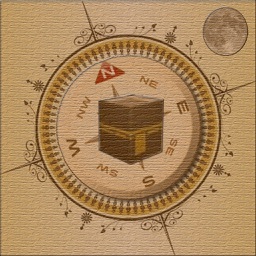 -Qibla direction corresponding to the current selected city. -Islamic events of the current Hijri year or of any other year selected. -Adjustment of Hijri date and time zone. -Adjustment of prayer times and prayer calculation methods. -Fully support the following languages: Arabic, English, French and German. More languages are coming soon. -Location Services should be enabled for device location detection. 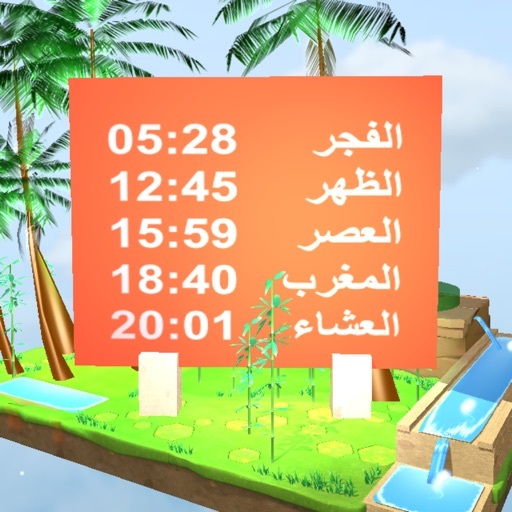 -Also PLEASE NOTE that it’s not possible to have full Adhan during local notifications (when the App is running in the background) because there a system limit in the time length of the sound file (30 seconds max), that’s why you hear only “Takbir”. As mentioned above we added an option in Settings where you can specify full Adhan notification when the App is closed, but in this case you have ONLY ONE predefined Adhan voice. (Please refer to the Help section of our App). Please rate and share our App, to help and encourage us to develop even better Apps!